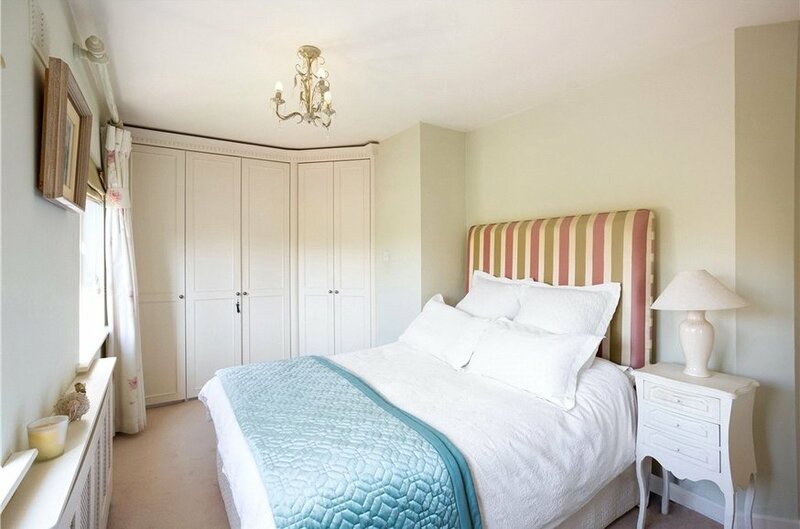 Three bed residence in excellent decorative order. Overlooking large green area to the front. 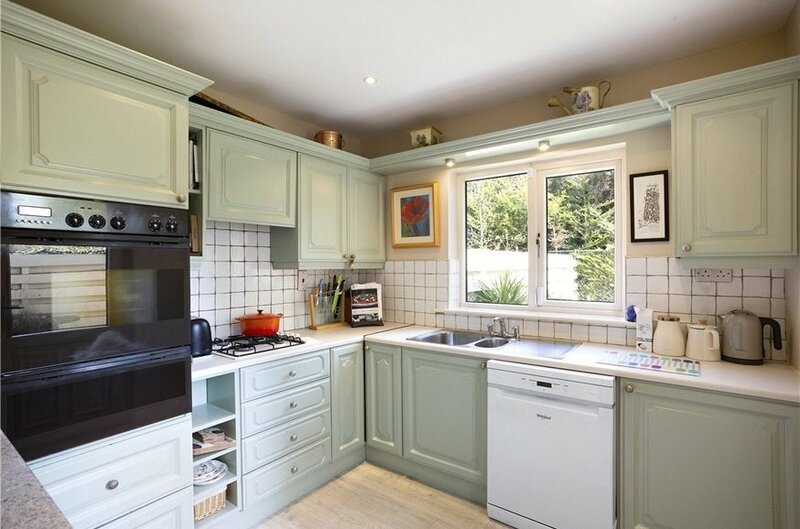 Situated in the ever popular Fernleigh, is this delightful three bedroom residence in excellent decorative order. 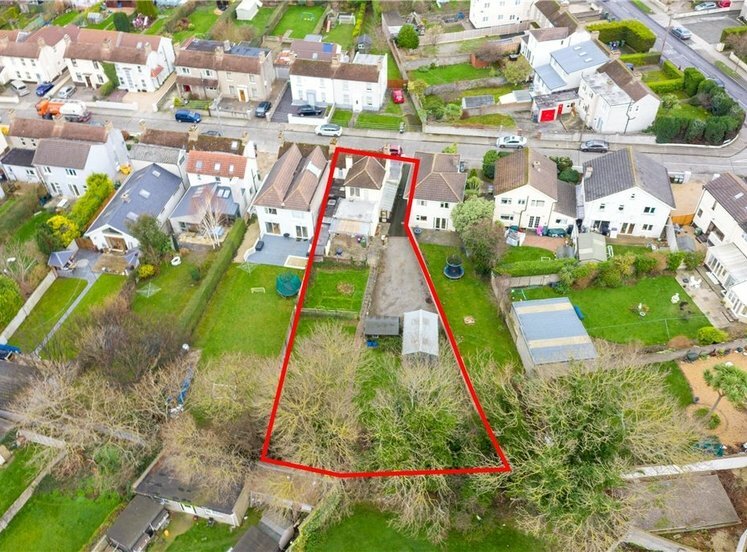 This property is perfectly private nicely situated overlooking a large green area and availing of a private rear garden not overlooked with sunny southerly orientation. 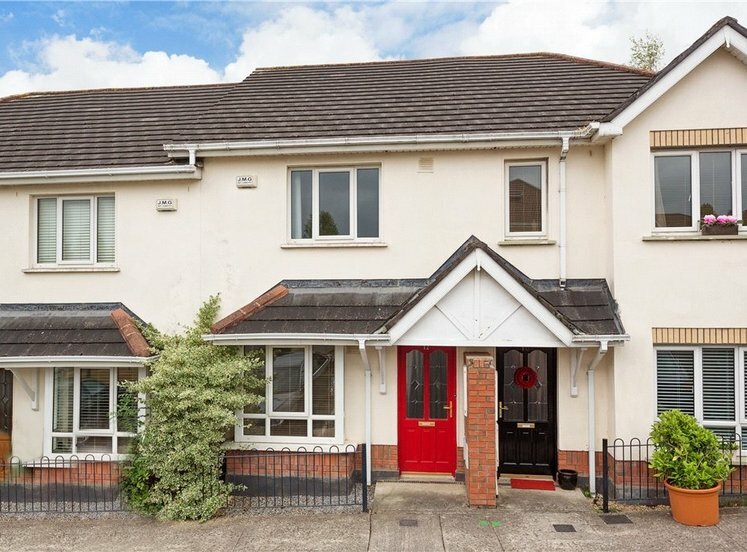 This location offers a quiet safe environment as well as being in close proximity to a host of local amenities including LUAS, schools, parks, shops and M50. 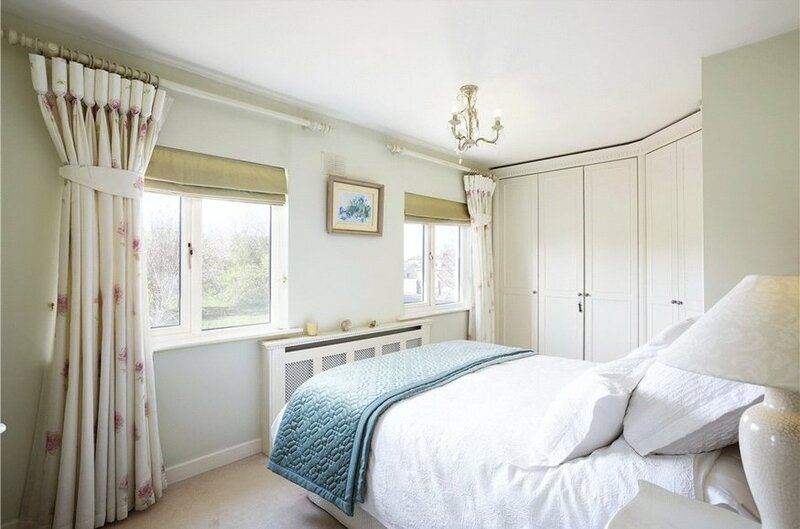 This property is embraced by its southerly orientation, flooded with natural light throughout with a bright and airy feel. 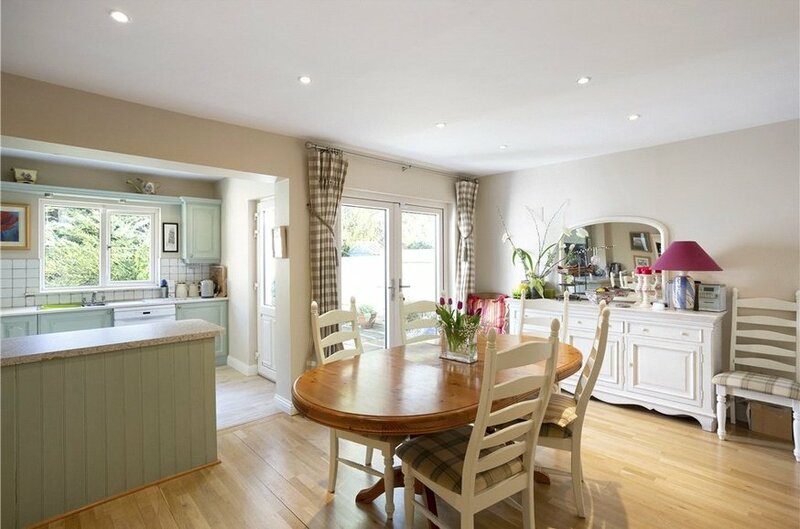 Upon entering the property the entrance hallway leads to the living room overlooking a green, magnificent kitchen / dining room with opening out to a private landscaped rear garden. Attached is a utility room with plumbing for washing machine and dryer. 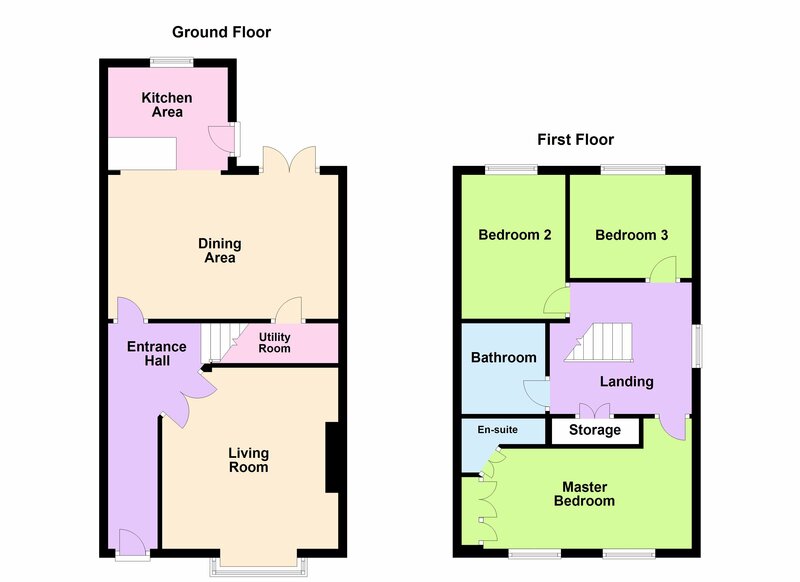 Upstairs there are three generously proportioned bedrooms (master bedroom with ensuite) and bathroom. 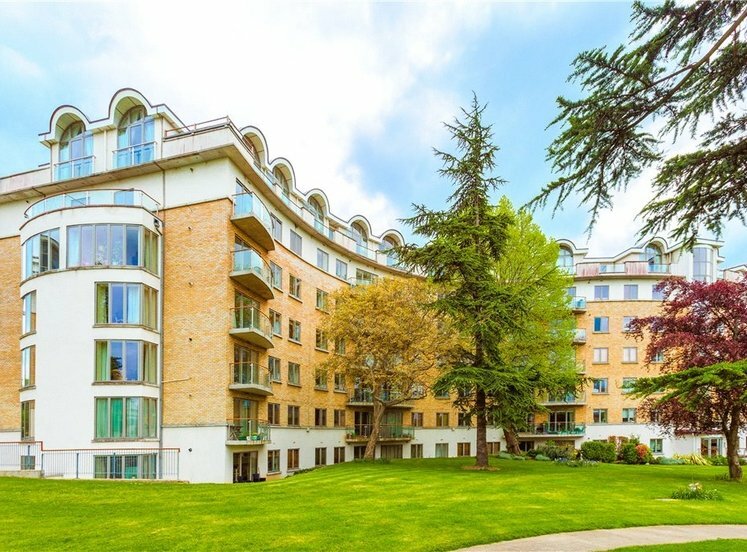 Outside the garden to the front provides off-street car parking and pedestrian access to the rear garden. 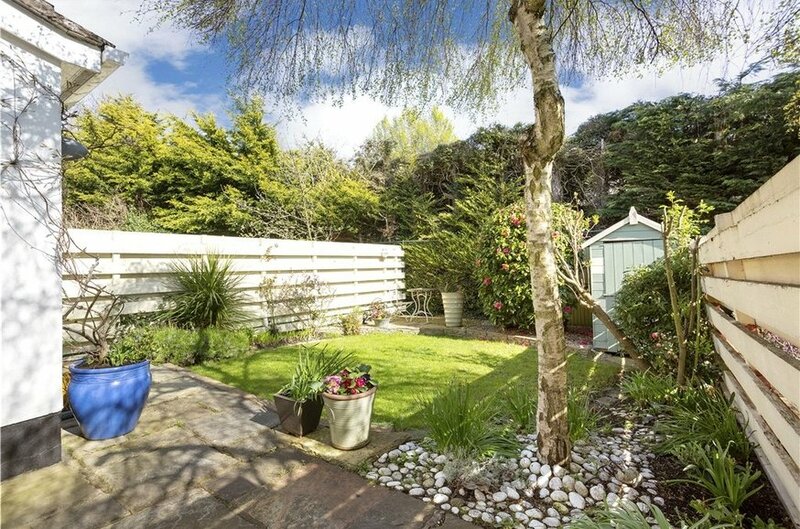 The rear garden has been landscaped with sunny southerly orientation and extends to approx. 8 m (26 ft). 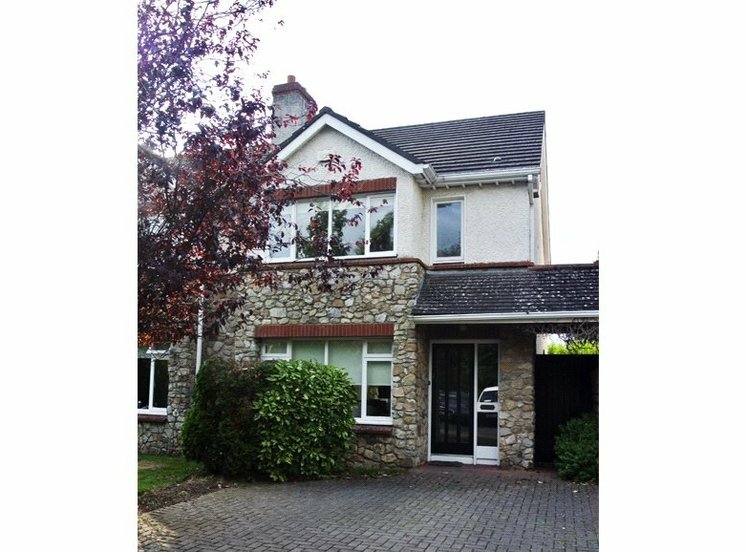 The property enjoys a wonderful location situated between Stepaside and Sandyford villages and less than 10 minutes’ walk from Glencairn LUAS station. 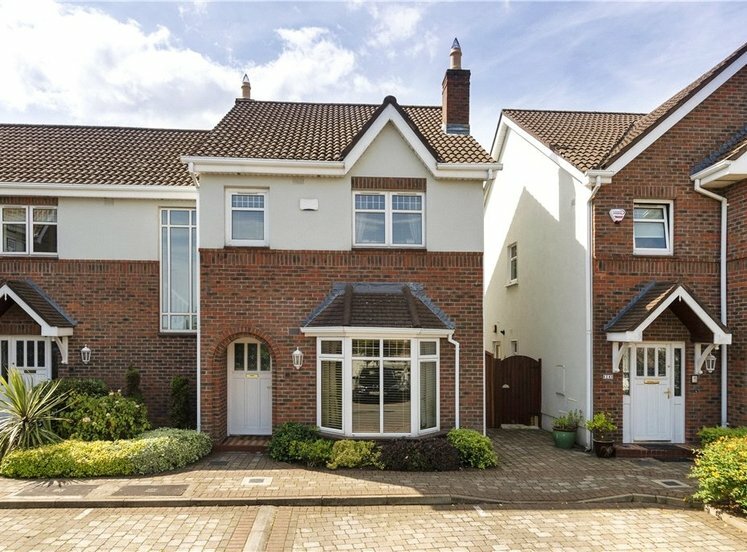 Dundrum Town Centre is within a 10 minute drive and Sandyford Business District is within a 5 minute drive from the property. 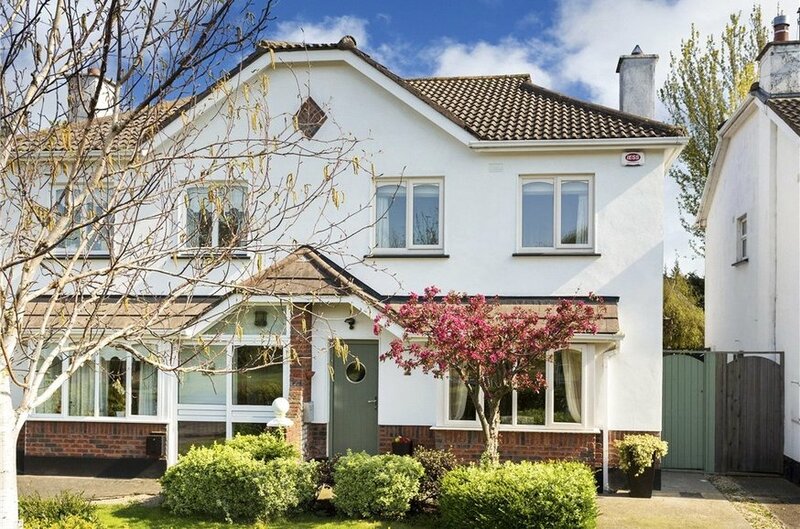 The property also benefits from easy access to the M50 motorway. Also convenient to a large number of primary and secondary schools. 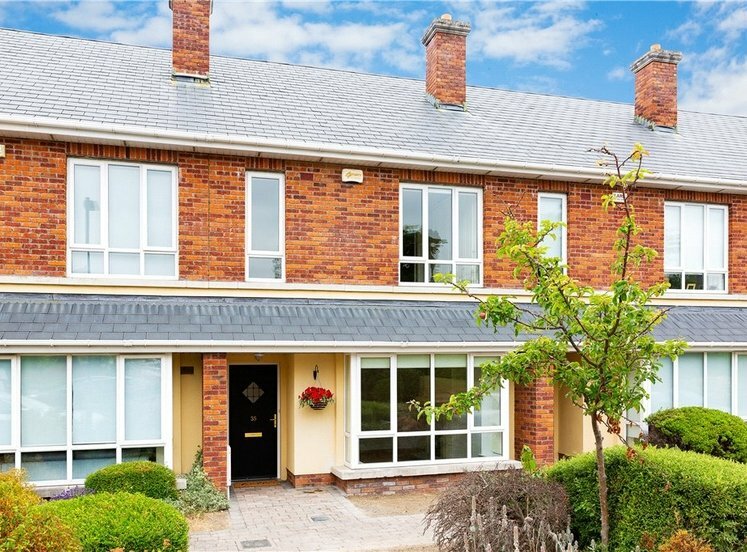 There is a wealth of local amenities including numerous golf clubs, driving ranges, Leopardstown race course, equestrian centres, Leopardstown medical centre and Cabinteely retail park are all within easy reach. 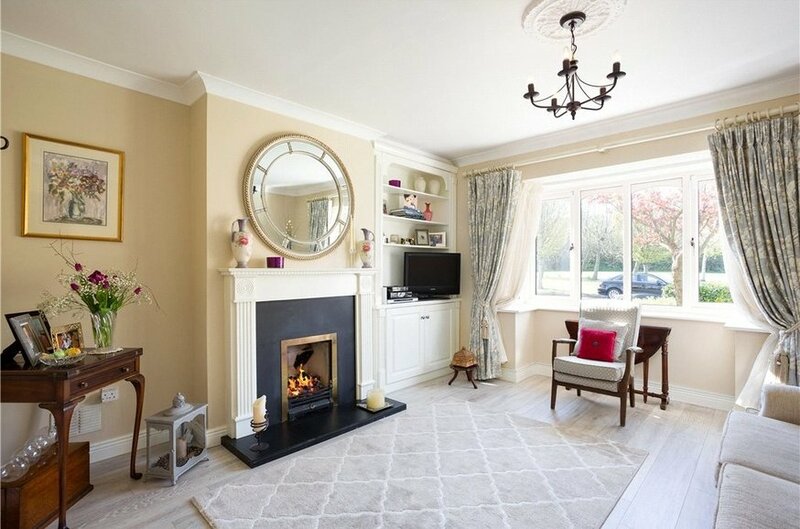 with laminate wood flooring and feature fireplace with gas inset, marble and wooden surround. 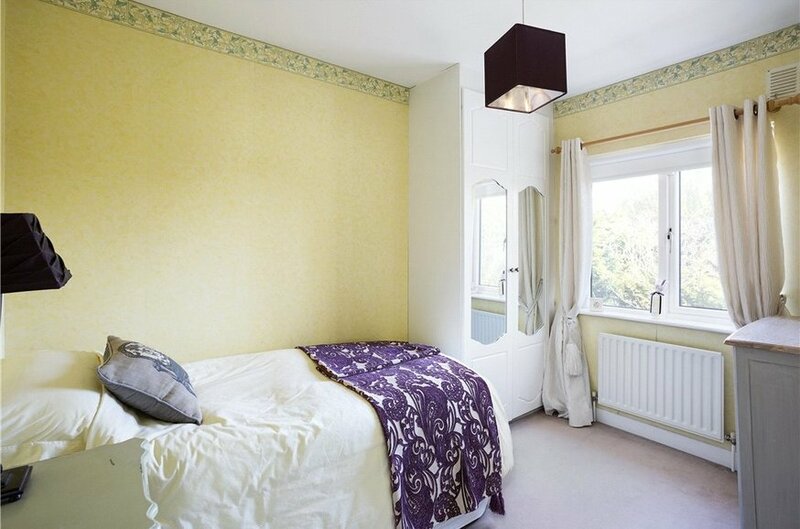 Built in shelving and feature bay window overlooking green area. 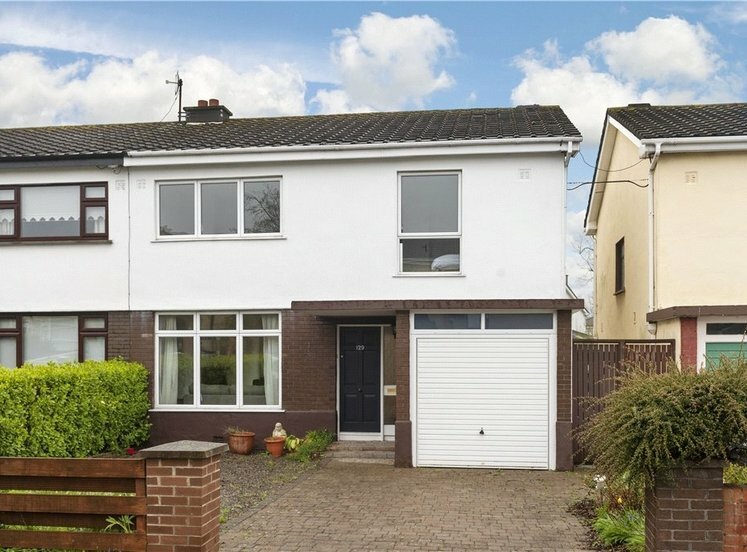 with semi-solid wood flooring and patio doors to rear garden. with laminate wood flooring, range of units and cupboards, plumbed for dishwasher, Whirlpool electric oven, gas hob and tiled splashback. with access to attic via Stira staircase. with w.c., w.h.b., shower and carpeted. 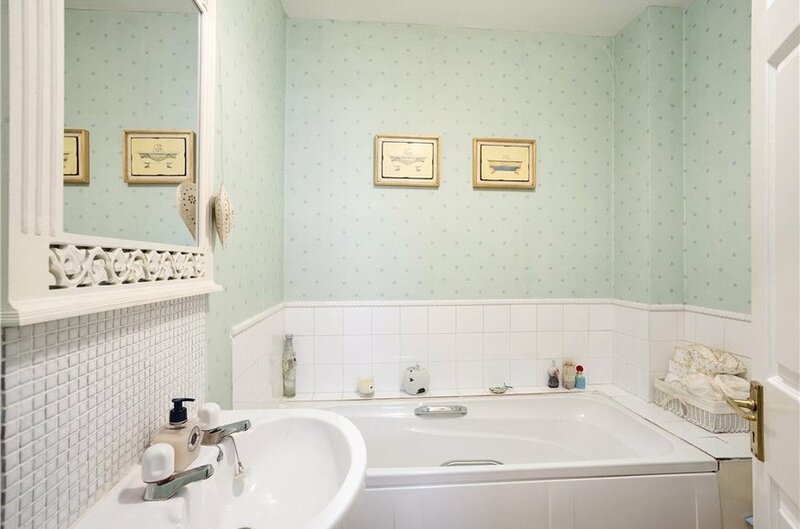 with w.c., w.h.b., bath and part tiled walls. 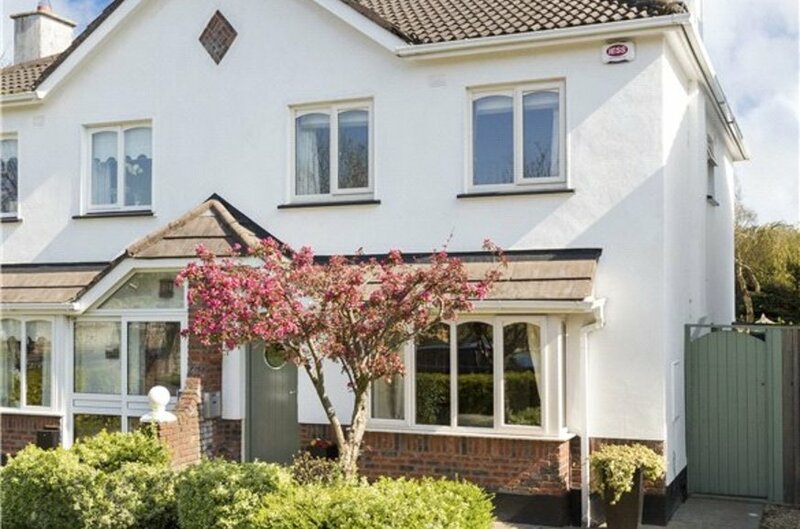 The garden to the front provides off-street car parking with bordering hedgerow and mature flowerbed. 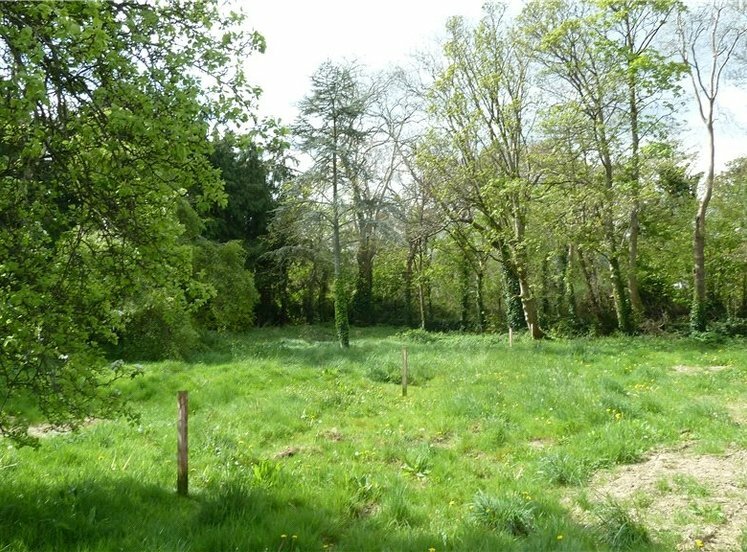 There is pedestrian access to the side of the property leading to the rear garden. The rear garden extends to approximately 8m (26 ft.). With a sunny southerly orientation the garden is landscaped with mature planting, shrubs and hedgerow and patio area.